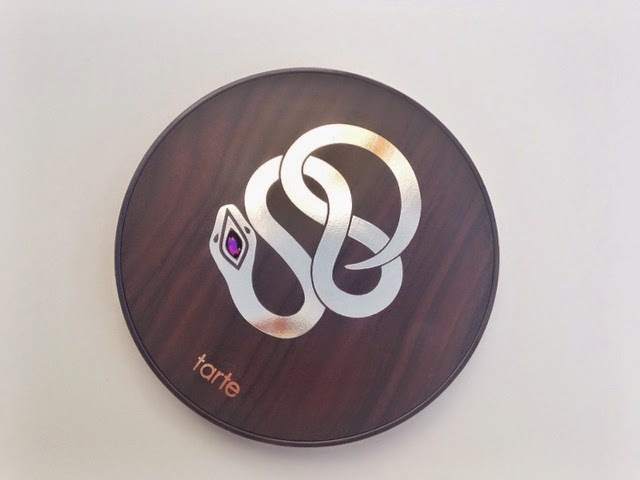 Have you seen Tarte’s newest edition? 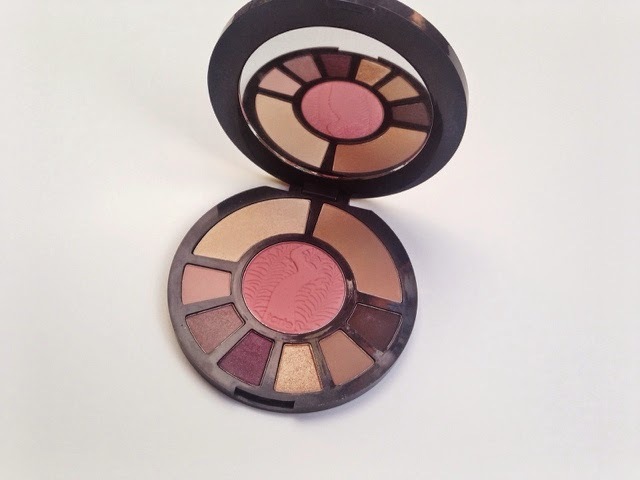 This palette is perfect for the fall. Look at this packaging people (image below.) Just look at it! The gold snake with a purple eye against that dark brown is just impeccable design. So gorgeous the package is enough to make you purchase *drools* Yes makeup makes me drool. If you didn’t see yesterday’s brand focus post on Tarte, go check it out to find out my thoughts about the brand in a general sense. This palette retails for $38 (Ulta/Sephora) and with the inclusion of 6 shadows, bronzer, blush, and highlighter, I definitely think it’s a steal. 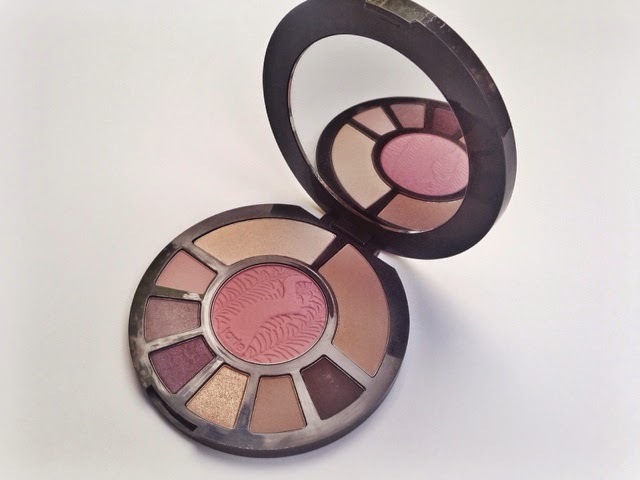 It’s also limited edition so if you do fancy this palette, you will have to get it before they’re all gone. Either way, the shadows are highly pigmented, long-lasting, creamy and just all around beautiful, beautiful fall shades. I love saying fall shades because fall shades can serve as winter shades in most cases which makes this more versatile. Colder weather is colder weather, whether it’s fall or winter. 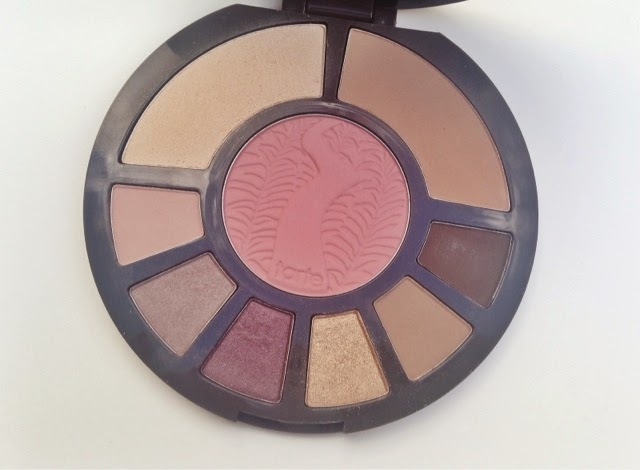 The bronzer is Park Ave Princess which is one I did already have in a separate compact, but it is so gorgeous that I wasn’t sad to have more of it in this palette. It’s a bronzer that can work with my skin when I’m tanner or even when I’m paler. In the center is the amazing standard twelve hour Amazonian clay blush. It’s a beautiful shade that gives your cheeks that perfectly pinched color just as if you were out in colder weather. The highlighter gives a sheer, yet beautiful glow (it’s not an intense highlight like Becca’s Opal.) It’s just enough to make someone focus a little extra attention on your face due to the glow on that upper cheek and Cupid’s bow. If you are interested in seeing some step-by-step looks recreated with this palette, let me know in the comments below! I would love to put this palette to work for you guys. Is this product on your fall lust list?